3. 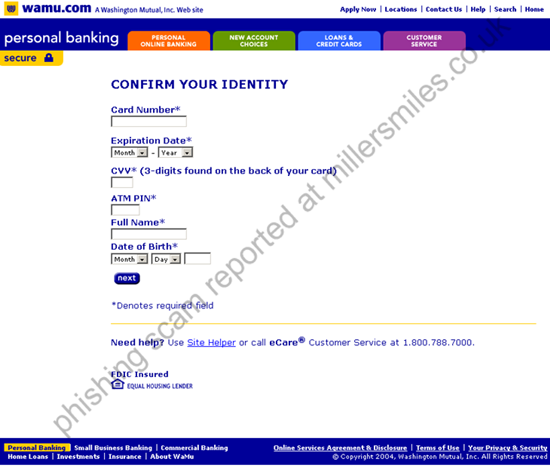 URL of spoof website disguised as https://login.personal.wamu.com/ . This looks secure but is NOT!
" 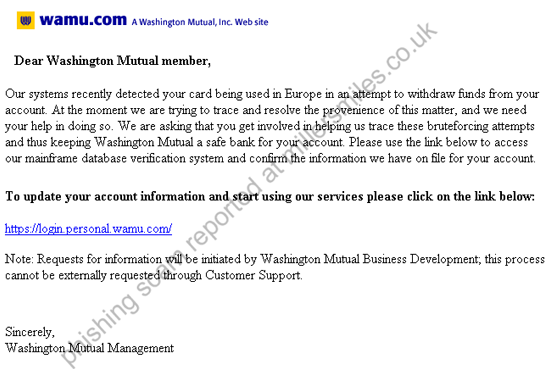 Our systems recently detected your card being used in Europe in an attempt to withdraw funds from your account. "